Get into the festive spirit with this fun glitter Christmas tree decoration. 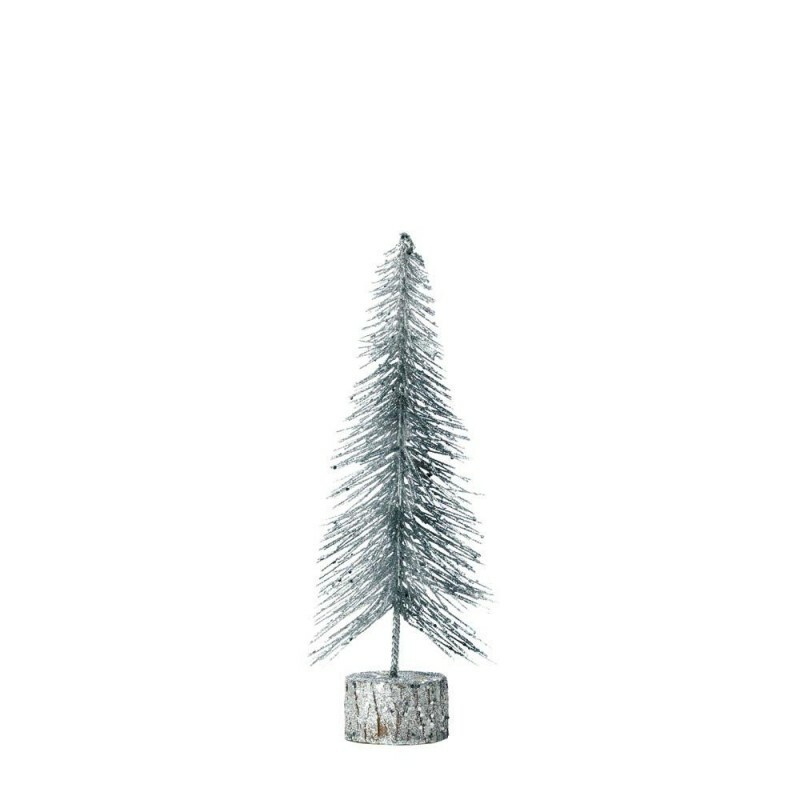 Modern and eye-catching, this silver glitter tree will add some sparkle to your holiday decor. The real wood base adds a festive feature and its small size makes it perfect for placing on your table or mantel. 4.5" x 4.5" x 11.5". Plastic, Cedar Wood.